Corey James Anderson is a New Zealand cricketer, who is mainly a left arm batting all-rounder. Born on December 13, 1990, in Christchurch, New Zealand, Anderson is a great package player who can bat very aggressively and also chipping some overs in between. After a healthy performance in the U-19 level cricket, Anderson came to Canterbury Wizards in the 2006-07 season. He also played Gillette cup from Christchurch Boys High School that won the cup three times in a row. In 2007, he became the youngest Kiwi player to play domestic cricket. He was also later transferred to Northern Districts in the 2011-12 season. 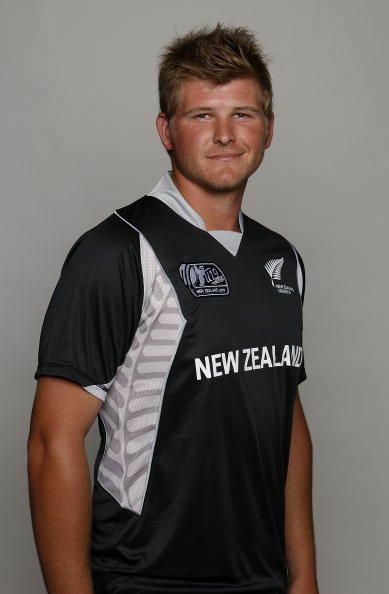 Corey made his international debut in a T20 match against South Africa in 2012. While he was also picked for the 2013 ICC Champions Trophy where he made his debut against England. He got his early success in test cricket where he scored a century in the game against Bangladesh. He scored 116 off 173 balls and also took a wicket in that match. After two years of his international debut, Corey scored fastest century in ODIs in just 36 deliveries against West Indies. After that game, he gained his name as a really aggressive batsman. After that, he was also picked for Mumbai Indians in IPL. In the 2015 ICC Cricket World Cup, he played a major role for New Zealand in taking them to the finals. He scored two half centuries, including a 58 against South Africa in the semi-final match and took 14 wickets at an average of 16.71 with the ball. He was adjourned as ‘Allrounder of the Tournament’ for his performances. Anderson has never been able to make his impact on a regular basis. With some injuries in the early stage of his career and not performing regularly with both bat and ball, he’s not able to cement his place in the team. For 2014 IPL season, Anderson for picked for Mumbai Indians for a whopping Rs. 4.5 crores and made his debut against Kolkata Knight Riders. He could not fix his place in the team for long and was picked by Delhi Daredevils for Rs. 1 crore in 2017. In a match against West Indies in 2014, Anderson broke the 17-year old record of fastest ODI century in 37 deliveries which was held by Shahid Afridi since 1996. Anderson scored a century off just 36 balls, which was later broken by South Africa’s AB de Villiers.